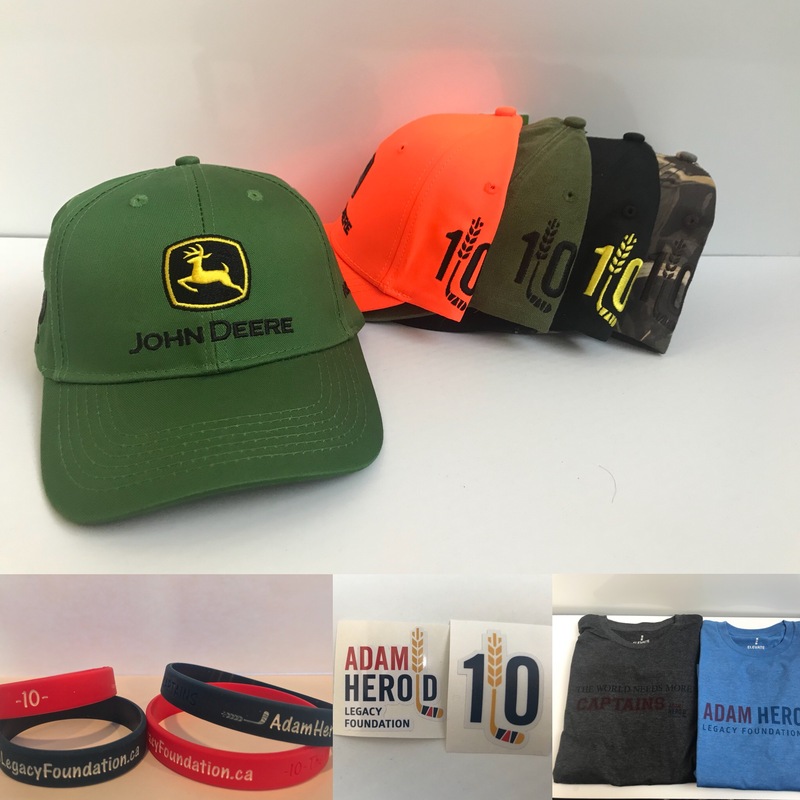 Adam Herold Legacy Foundation Apparel is now available! All proceeds help support the foundation to continue to provide Saskatchewan youth with opportunities to not only strengthen their hockey skills but also to nurture and inspire their leadership potential to ultimately benefit their communities. It can be purchased at Peak Performance in Regina, Montmartre Pharmasave or by emailing erin@heroldstrong.ca. Black with Red pom, Grey with Black stripe, Black with Grey stripe, all black, and Pink.